We can help you capture any type of event. From multiple booths to roaming photographers. We’ve got you covered! What are the setup & tear down times? We arrive at least 1.5 hours early if not 2 hours early to setup our premium booth, set out props and be ready for your guests at your desired start time. It takes us 45mins to tear down and haul our gear out. If we need to setup a tent, generator or enclose the booth with pipe & drape it’s an additional 1 hour setup time. Setup is all included with no extra charge in our prices. For our Simple Booth we arrive approx. 30mins before contracted start time, and show you how to use the booth. Teardown takes about 15mins. Where should I place the booth? If the booth is out of sight to your audience, we won’t get much interaction. Place us close to the bar or in line with traffic flow to get the most use. Let us help your guests have FUN! 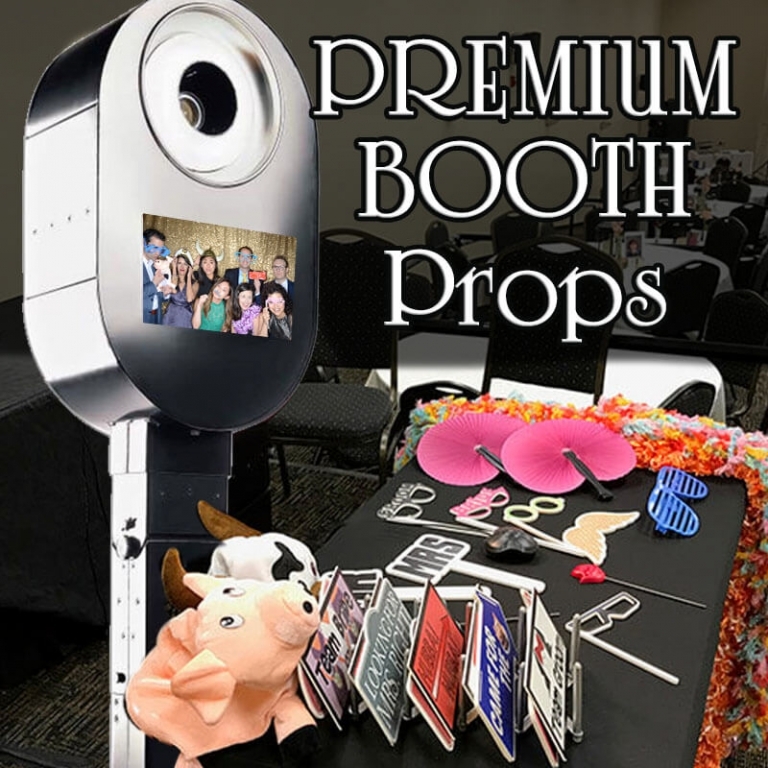 What Props do you include with your Premium Booth? 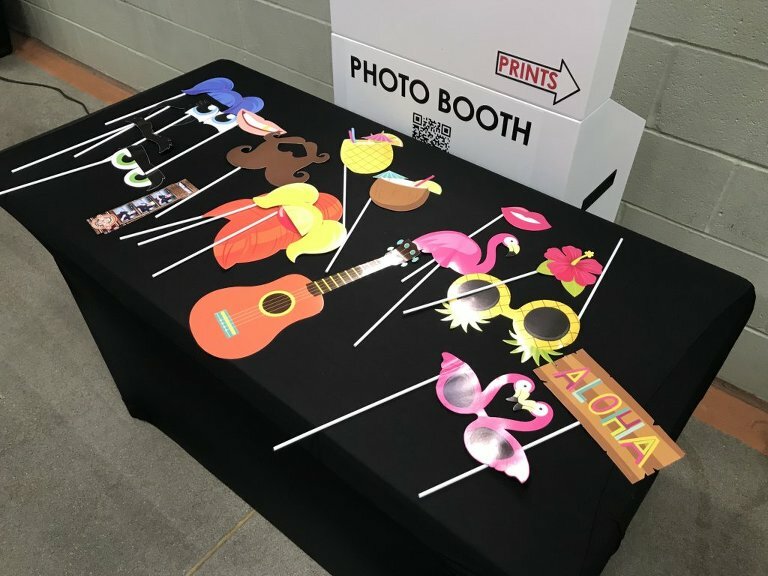 include Quality signs, fun hats, boas, glasses, masks and some themed props. We try to keep our props appropriate & family friendly to the event. are more simple in nature with paper props on a stick. Since we Drop this booth off and pick it back up later, we don’t worry if the props are stolen or damaged. Do you travel outside of Des Moines Iowa? YES we do travel outside of Des Moines. We automatically cover the Des Moines Suburbs for no travel charge. Anything outside a 20 mile round trip radius of Des Moines is charged at $1 per mile. Point of contact on-location. When we arrive, who do we contact if we have troubles finding where the booth needs to be placed? We can’t be blocking any fire escapes or in use door ways. Our tent can be ran on our generators removing the need for ac power with an add-on. How many people can fit within the booth? Both of our booth width is 7′ wide. We can fit up to 8 people safely. GREEN SCREEN – WHAT SHOULD I KNOW? While Green Screen is a super fun technology which allows us to remove anything that’s green on the background and replace it with any digital background of your choice, it does not produce as professional of results as our other non green screen backdrops. Green screens are great for themed parties where fun is more important than getting professional quality studio images. With green screen any article of clothing that matches the green backdrop, will become the digital background as well. So you may get floating heads, etc. The digital images which are used within the green screen need to be at least 1800 x 1200 (WxL) pixels in size. This way even the horizontal 4×6 composite sized photos look great with your backgrounds. Images must also not be copyrighted or if they are, you must have full permissions to use them. We can help you find the right images for your event. We have LOTS of fun templates to choose from. Just pick your favorite and we’ll customize it to your event.